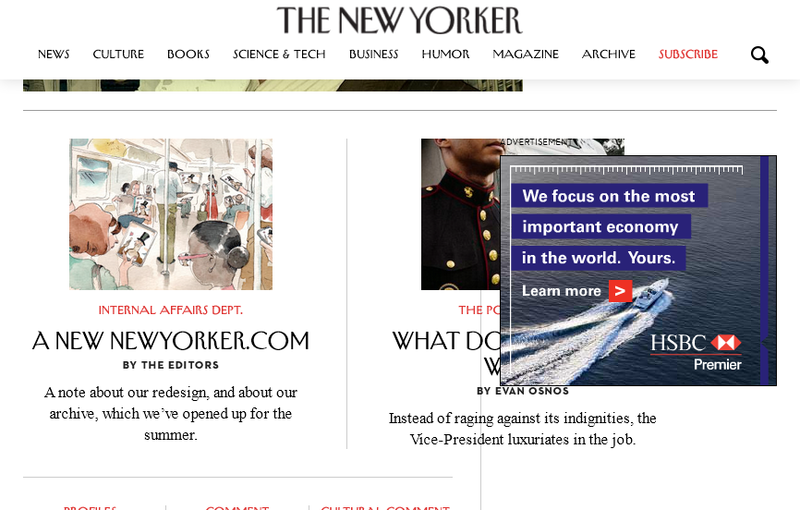 Update – Only took them 2 days to fix it – well done New Yorker! The New Yorker unveiled its new responsive redesign today, and was reviewed positively. It’s true that it is very nice, but I think the adverts pollute the clean aesthetics, and worse, they think responsive break-points don’t apply to them!